It is shortly after midnight in Europe that Alex Thomson is expected off Tête à l’Anglais island to the north of Basse-Terre. He will then have the tricky task of sailing around Guadeloupe. The skipper of Hugo Boss appears to have a lead over his rivals that is comfortable enough to deal calmly with this final hurdle. He can look forward to his finest victory ever, unless there is some major upset. The battle for the remaining places on the podium looks like being closely fought between Paul Meilhat and Yann Eliès, who should be rounding the island tomorrow afternoon. Vincent Riou and Boris Herrmann are lying in wait ready to pounce. 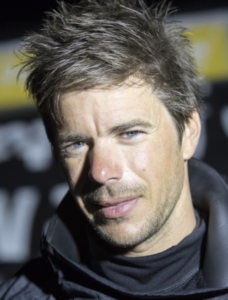 On the eve of the outcome of the Route du Rhum for the leading IMOCAs, Sébastien Simon, a rising star in the class who next year will have a new boat at his disposal, gives us his viewpoint today. “Alex Thomson is having an incredible race. He is the fastest and no one comes close. In the trade winds, he found the perfect straight trajectory. With the squalls and shifts in the trade winds, those chasing him were forced to gybe many times. That is something I have already seen before in the Transat AG2R: just a few miles apart, some skippers manage to find perfect trajectories, while others suffer in the squalls. To win a race takes a variety of ingredients: good preparation, speed, luck… If any of these ingredients is missing, it doesn’t work out. Alex is sailing his boat well. We can see that he knows her like the back of his hand. Hugo Boss has been made more reliable. Alex was the sailor who slowed down the least in the huge area of low pressure to the west of Portugal. He knows his boat’s limits. He trains off by himself. He carries out PR operations everywhere. In the end, that means he gets in a lot of sailing and knows what he is doing. If he achieves a win here, it is something that he really deserves. From now on, Alex Thomson just has to look after his lead to the finish. Unless there is some serious damage, he has it in the bag. He will be tackling the final lap around Guadeloupe tonight. At night, the winds don’t get across to the other side of the island, as we saw with the Ultimes. The only way to keep going is to pick up some air coming down off the cliffs. So he really needs to hug the coast. Alex will have to remain patient, but considering the lead he now has, he can tackle this relatively calmly. He has it within his sights. The IMOCAs are very fast, but they aren’t boats that accelerate to thirty knots either. It’s not like the Ultimes, where your lead can vanish in an hour or two. The situation between Paul Meilhat and Yann Eliès is much more uncertain. Nothing has been decided. I can see them finishing tomorrow afternoon (Guadeloupe time). I think that in the wind around the island, Paul should be more at ease aboard his IMOCA with straight daggerboards. But it will only take Yann getting a bit more wind, like Joyon did against Gabart, for the situation to change. We also need to consider how tired the sailors are and how clear-headed they are. Vincent Riou could claw his way back onto the podium, but that is going to be hard. He has not had any wind instruments since practically the start of the race, so in autopilot mode, it’s not working properly. Aboard an IMOCA, an efficient autopilot is a real advantage, as the boat can follow the wind precisely and surf along the waves. That is no longer the case for Vincent’s autopliot, as it is lacking the wind data. When Vincent goes to sleep, the boat goes straight ahead, while the wind continues to shift. Yesterday, some huge squalls passed over and Vincent got caught out with the wind full astern and the spinnaker wrapped around the stay. That would not have happened if his autopilot had been working correctly, as he would have luffed up slightly with the wind. In that incident, Vincent lost his spinnaker, a sail that is useful when you want to sail downwind in 18-20 knots of wind with a good VMG. I admire the way the leaders have sailed. They have kept up an incredible pace without really getting any rest. They had to deal with the low-pressure systems, then get around the ridge of high pressure and then pick up the trade winds, which have not been that stable. It is a sprint for them. The Route du Rhum remains an offshore race of course, but it is a race where the pace is similar to what you find in some legs of the Solitaire du Figaro. You need to be constantly trimming, carrying out manoeuvres, analysing the weather… I can’t wait to see what they look like at the finish. In my opinion, they will be exhausted. Their performance reminds me that I still have a lot to learn. I’d love to be in their place rather than on the other side of the barrier. It is an enriching experience for me however, as I am contact with the PRB team.